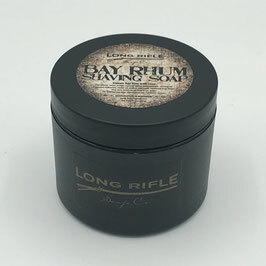 Our fresh-scented bay rum stands out from the competition and our lather beats them down. 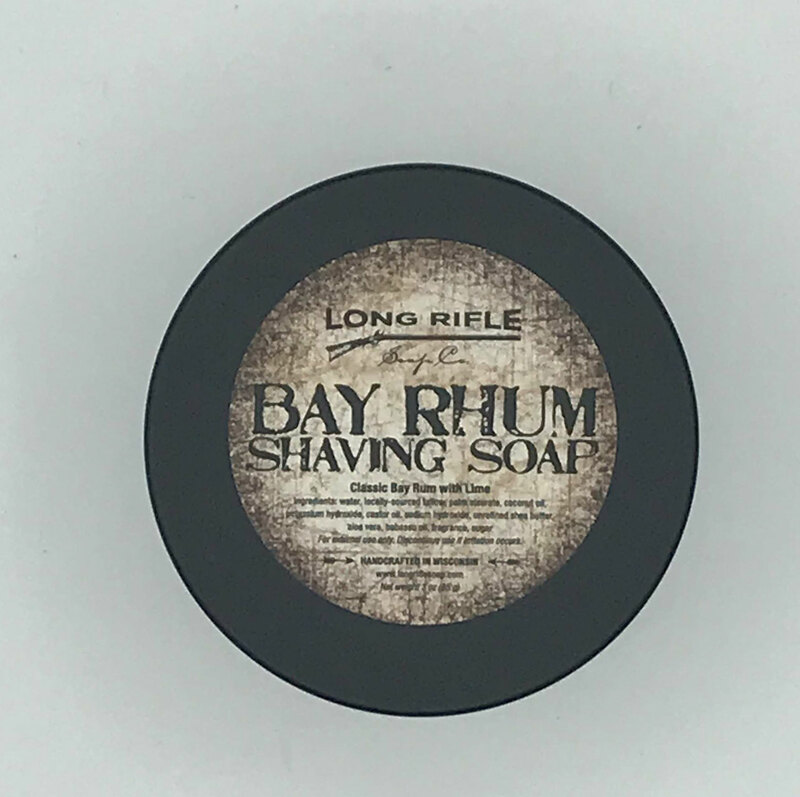 Our Italian cream shaving soap is poured into the container while liquid so shavers can lather directly into the container. 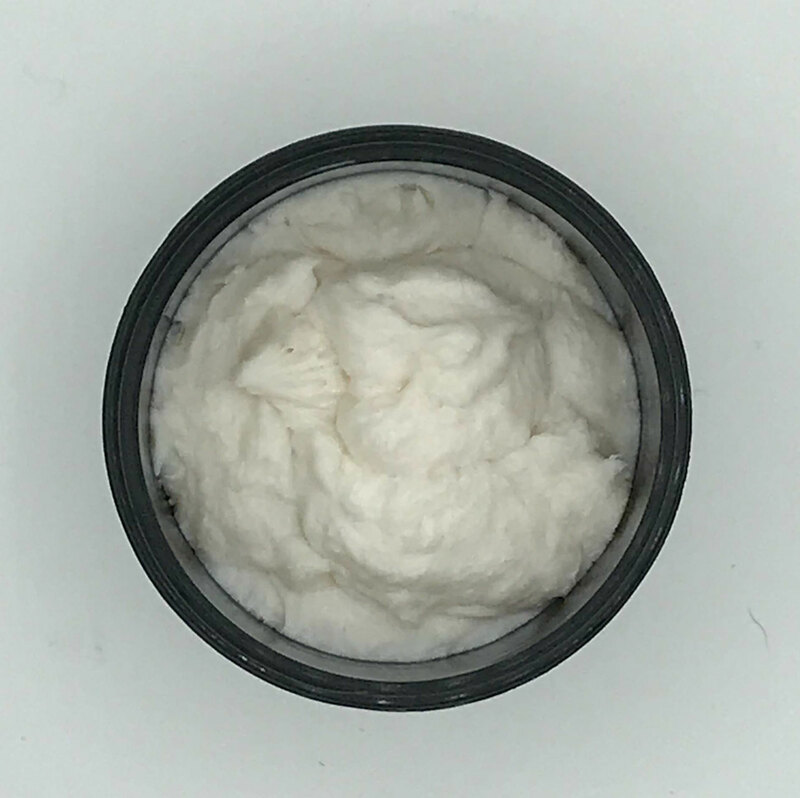 We use locally-sourced organic tallow and unrefined shea butter to provide superior lather and post-shave conditioning. Ingredients: water, locally-sourced organic tallow, coconut oil, potassium hydroxide, sodium hydroxide, aloe vera, unrefined shea butter, fragrance, babassu oil. Net weight 3 oz.